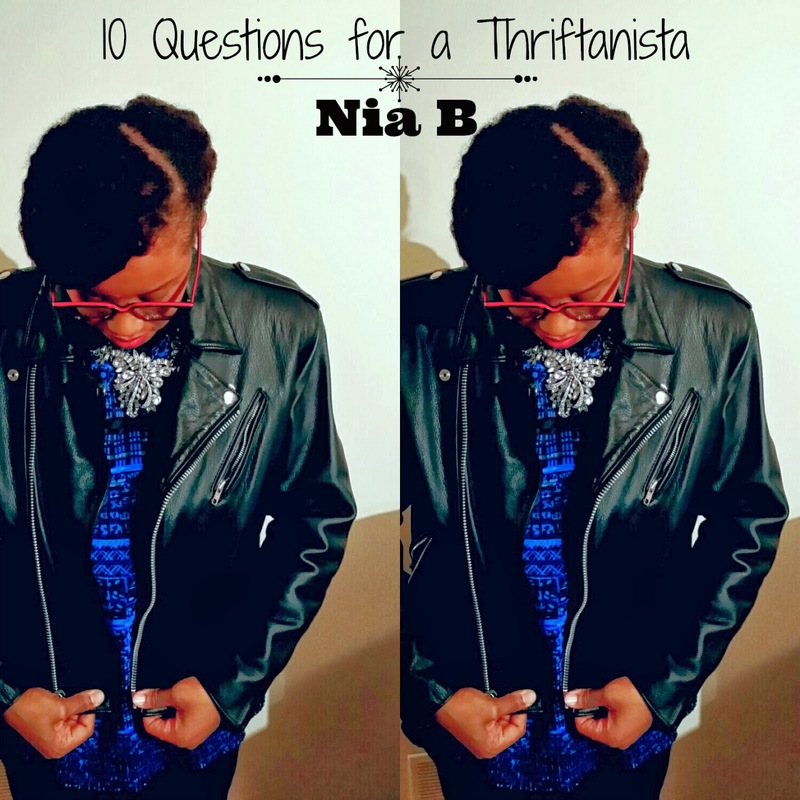 It's time for another round of 10 Questions for a Thriftanista! 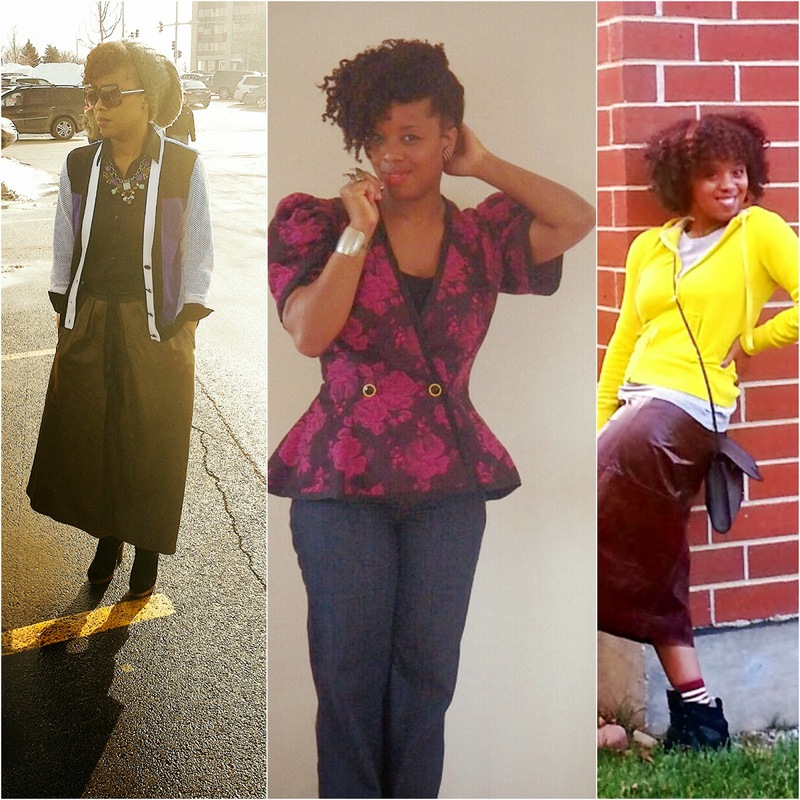 Our thriftanista this month is Nia B. I've known her many years. She's a good friend to my mama and she has become a good friend and estate sale shopping buddy of mine. She's also a natural hair stylist and beauty guru. She has all of the answers to all of your questions. Today we'll ask her about thrift style! Unique, Trends, and online which pretty much covers a multitude of stores/locations. A Jeanne and Marc peplum jacket and a maxi gold skirt which I found for $30 for all pieces (you don't get this price for these items too often). I've always admired this 80's high-end design team and was excited to score my own pieces. Good question. I don't think I can put a label on my style. Here's what I do know. I like what I like and I know what looks good on me. I like to think I have a good sense of style, so I go with my gut and it seems to work for me. 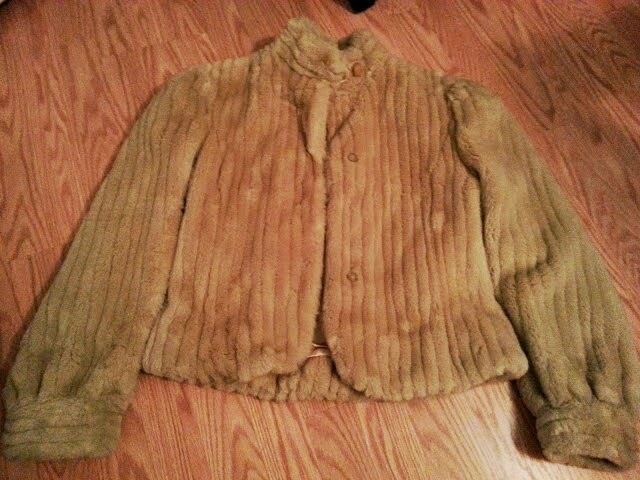 Thrifting is like my personal design factory. It allows me to completely express who I am without looking like someone else, or relying on trends and designers to dictate what I should look like from their available options. 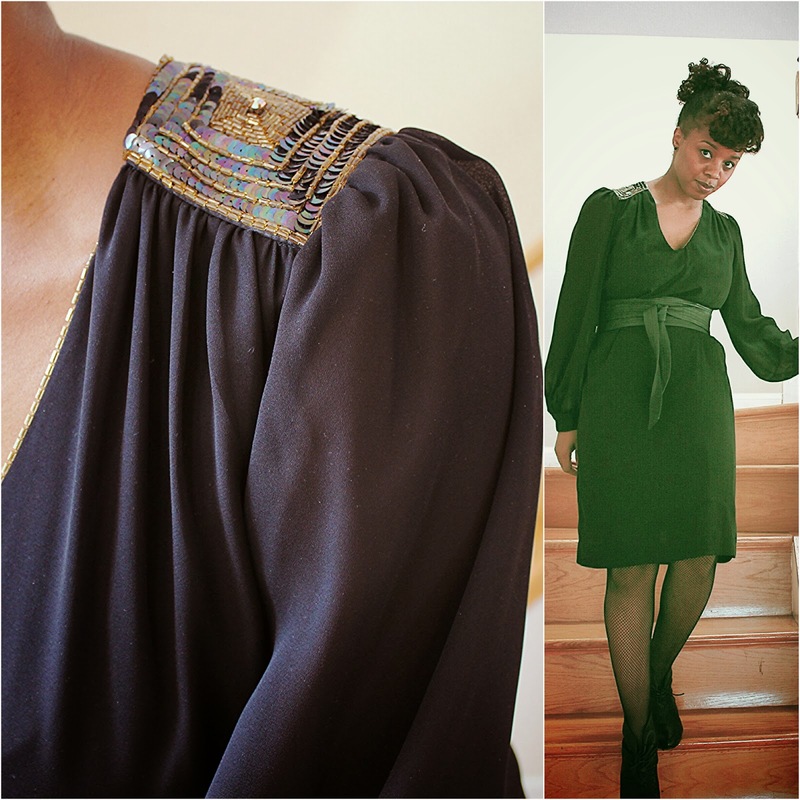 Thrifting offers many quality, timeless pieces that I admire and love to wear. I also like that I don't have to spend a ton of money if I choose not to and I can still look awesome! I'd have to say my Jeanne and Marc peplum jacket and a maxi gold skirt because this designer is really hard to come by and when found are not cheap. Shop on sale days and if your thrift store offers sales based on tag colors, try only purchasing those items that offer the biggest sale value. 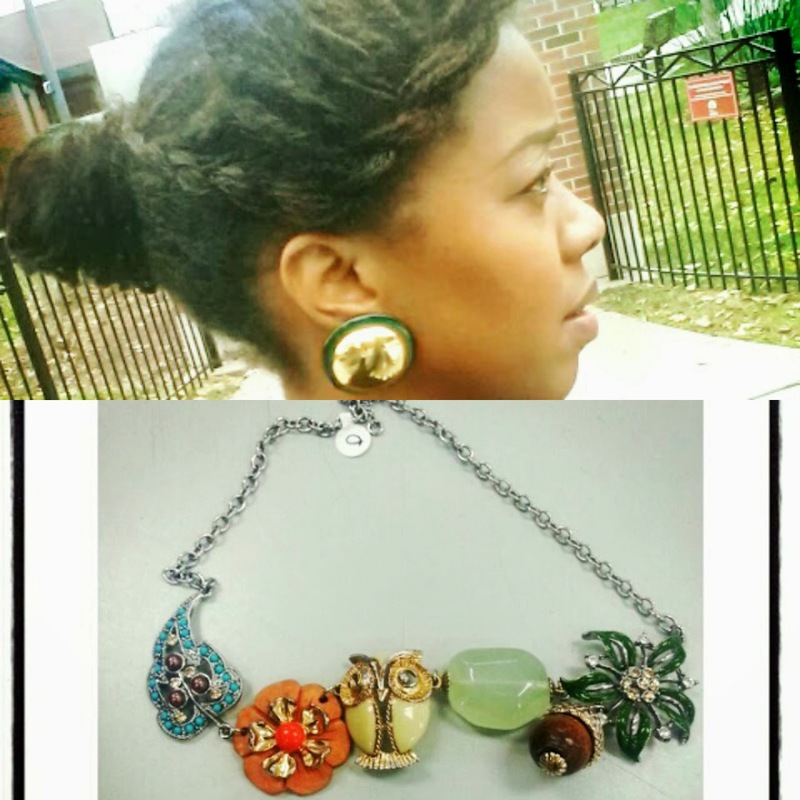 Look through magazines or inspiration looks from your favorite online store for items you'd love to have. Look for those items when you go thrifting to recreate the looks you liked. If you're new to thrifting, have a plan. Think about the things you'd like to have, make a list and search for those items. Don 't focus on size. Try the garment on and if it fits, you're good! If it's too big, take it to the tailor - or if you're real crafty, alter it yourself! Where can we see more your amazing finds? Visit me at www.nia-b.com! Well done, Troy! 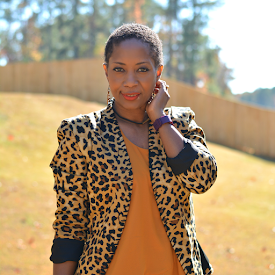 I love the new blog layout and your closet venture. You are doing your thing! This is a great feature and I look forward to reading more about Nia B. She has great style! I love hearing about your thrifty friends!